Anyways… upon going through thousands of submissions for almost a full year now, I’ve seen the best, the worst, and the most minimal desks across the internet. 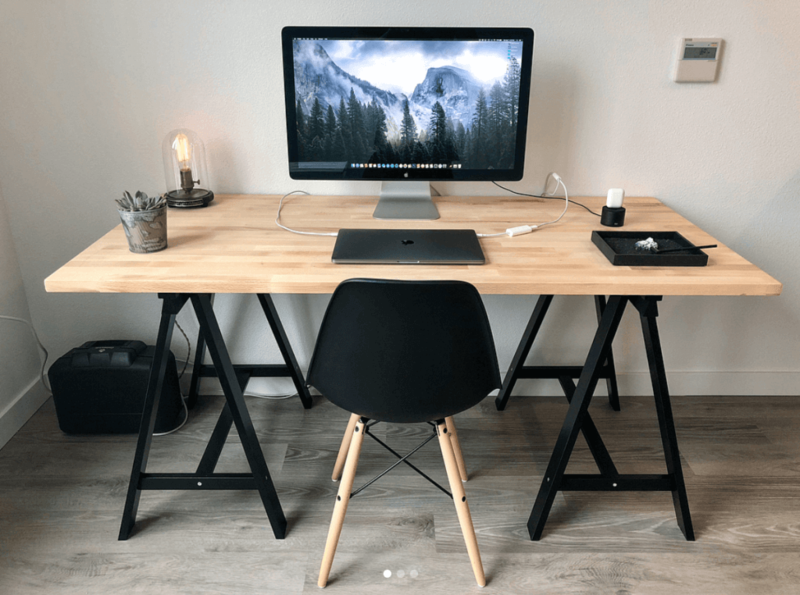 I’ve created a list of some of the best ones and showcase the minimalist desks that have been engaged with the most on @desktour. Along with the desk setups, I’ve included and linked some of the minimalist desks below to help you decide the right table for your needs! From all of the photos I’ve seen of minimal desk setups, the IKEA table top and table leg combo is by far the most popular. 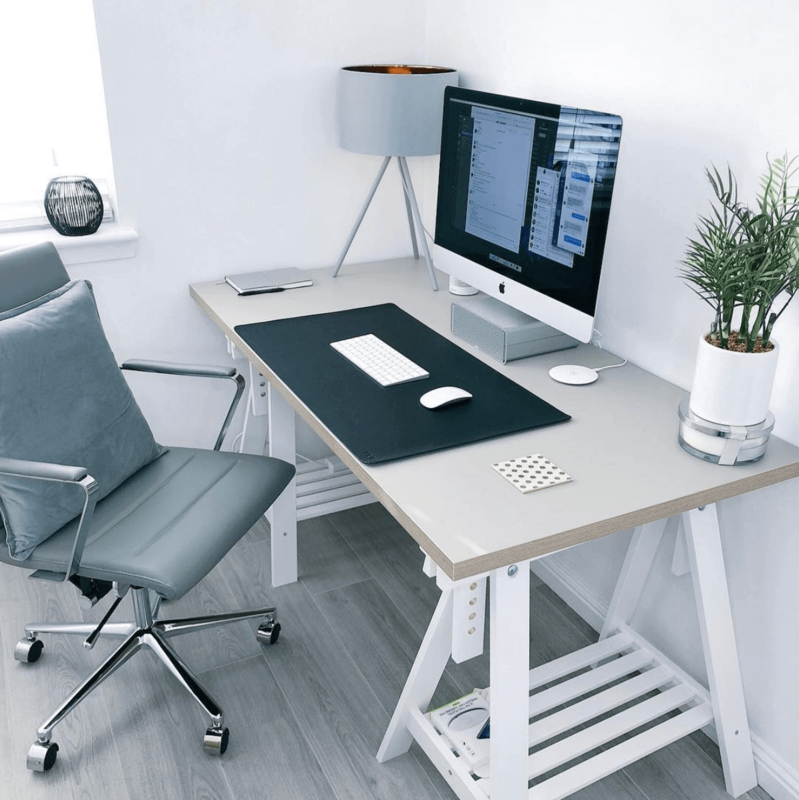 Both affordable and comes in a variety of different colors and styles, IKEA has made it a no brainer for desk junkies to choose this minimalist desk. Here are two of my favorite setups from James and Stephaen. Here is a similar desk setup from Stephen Proctor who describes his setup as a clean and breathable workspace. Stephen has since updated his setup slightly by adding in a couple new desk accessories and setting his laptop on a Twelve South MacBook stand. A space grey Magic keyboard and a Magic mouse were also added to his desk. Check out his Instagram for more photos! 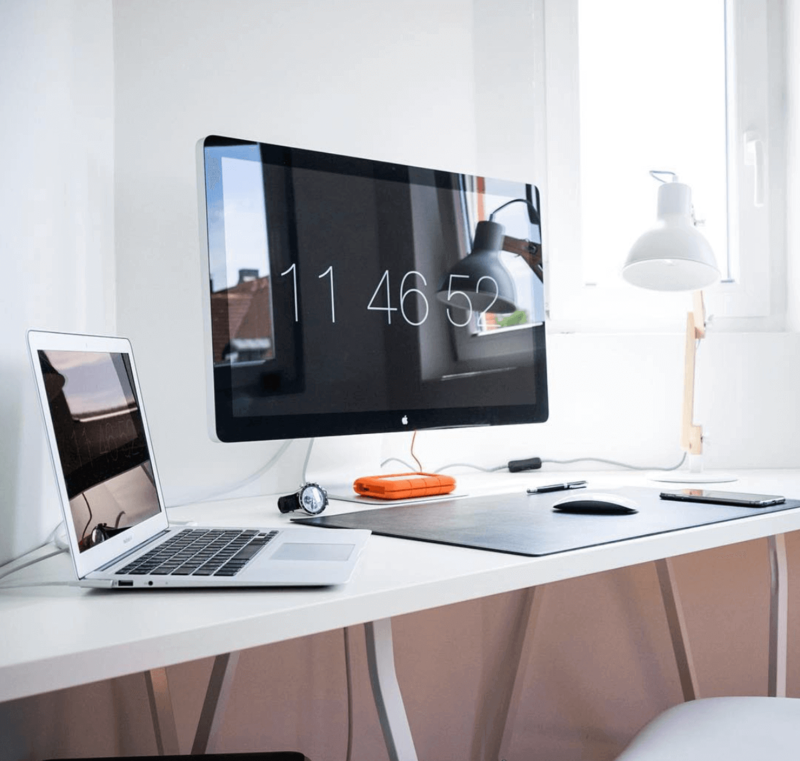 Alex is a developer from Romania and his desk setups are perfect. The balance between aesthetic perfection and functionality. Using the IKEA setup we mentioned earlier, he replaces one of the sides with a table drawer. Instead of a monitor holder, he uses a minimal drawer to hold up the ultrawide LG monitor. Alex’s setup is the right combination between the IKEA setup and the minimal ultrawide setup. This is another favorite desk setup of mine. Different from the other ones because it looks like the perfect night owl setup. 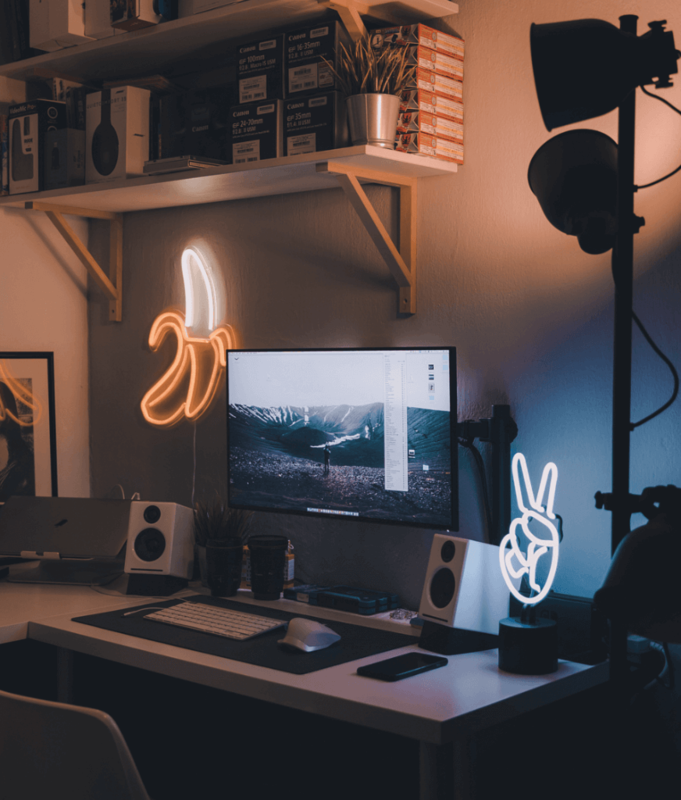 I’m personally more productive at night and I love the addition of the neon lights here which add such a cool vibe to the whole home office. I loved this minimal desk setup from Marcelo because of how designer like it was. I’m no professional designer, but it seems like such a perfect setup for a designer. The use of brown to compliment the white setup and the minimal desk accessories is very nice. Are you really a designer without design templates on your screen and design sketches on your desk? The third desk setup I chose is one with a nice large window and luckily a beautiful view. 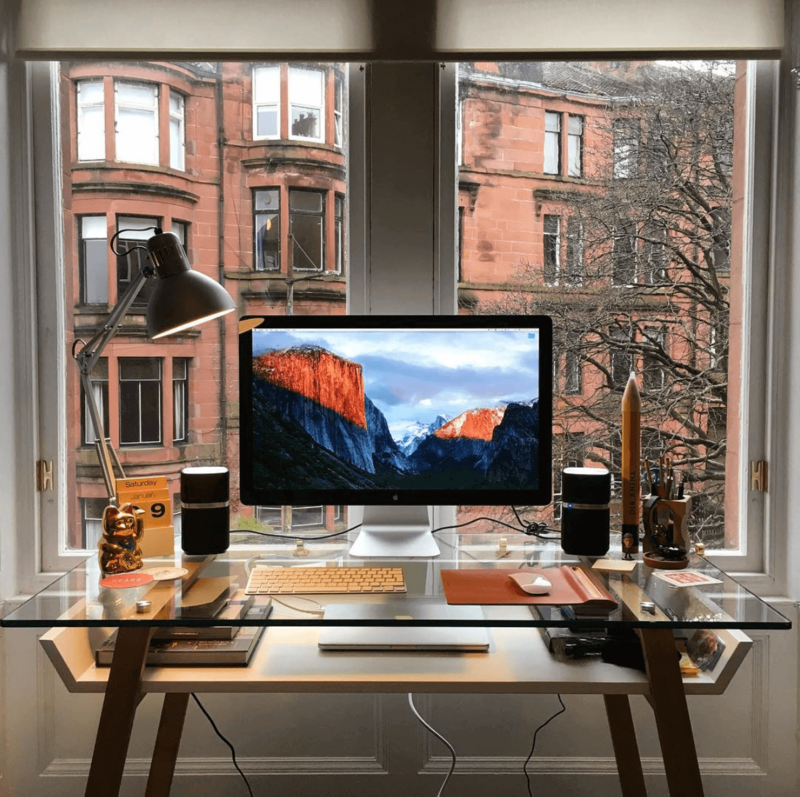 The glass desk makes it perfect for the glass window view and I love the use of space. 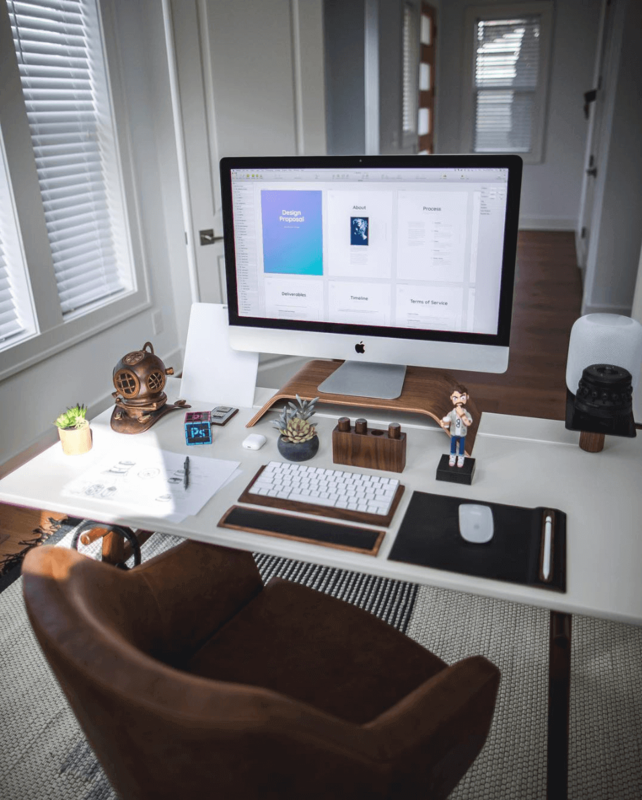 Books, laptop, and other desk accessories are stored under the glass table top and all of the essentials are placed where they need to be on top of the desk. The symmetry of the desk aligned with the window is also a nice touch! The ultrawide monitor workspace has to be one of the minimalistic desk setups and personally my favorite. Gabriele does it just right by keeping the desk simple with two simple Bose speakers, one of the best desk pads on the market, and minimal cord usage. 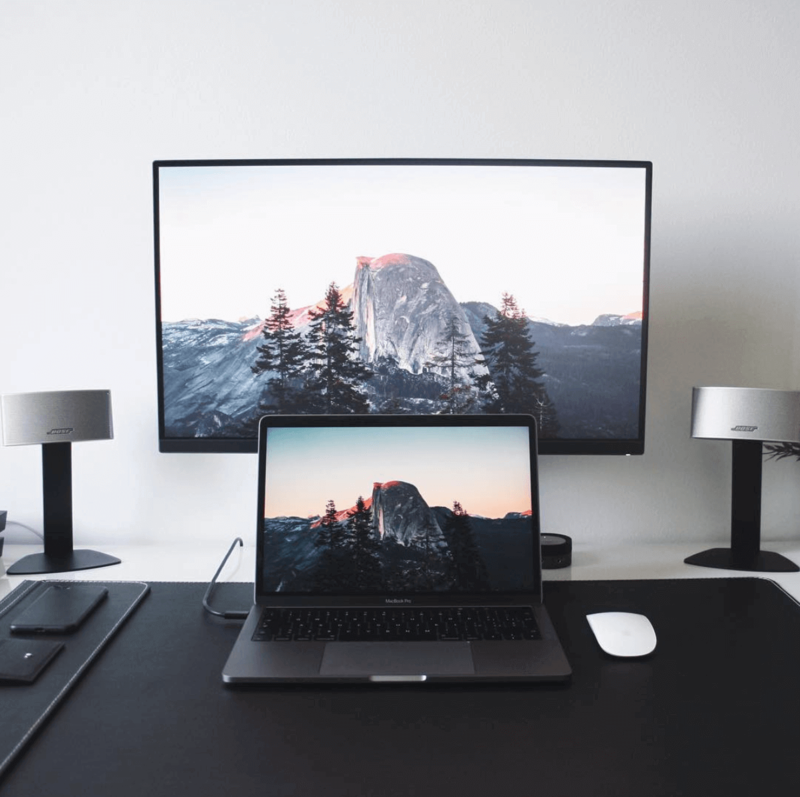 The MacBook Pro and ultrawide monitor combo seems like the way to go if you’re looking to keep the clutter low. The moment I see a Lacie Rugged Hard Drive, I just think photographer or videographer. This desk setup looks like the content creators workspace. 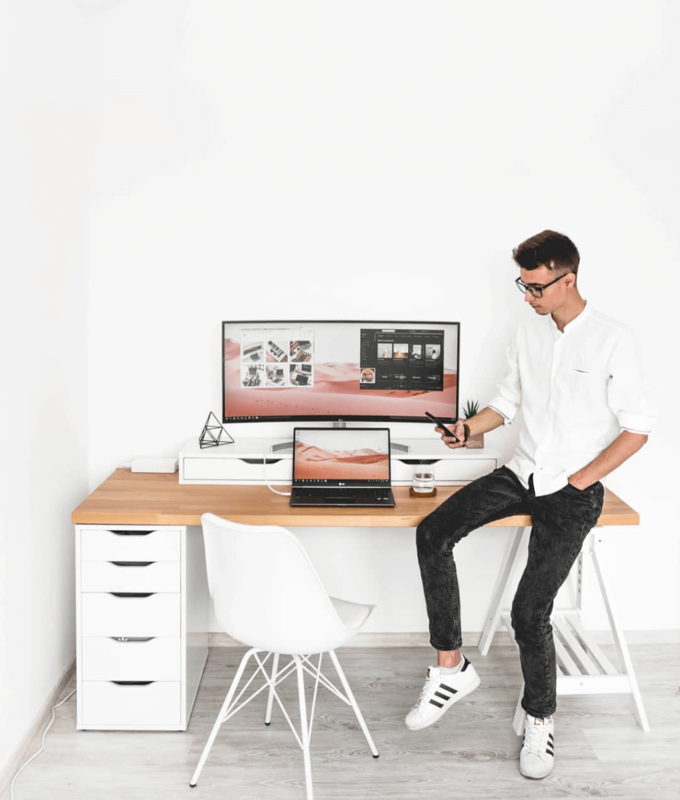 The minimal all white with black monitor and MacBook accessories seems like it creates a perfect productive environment. 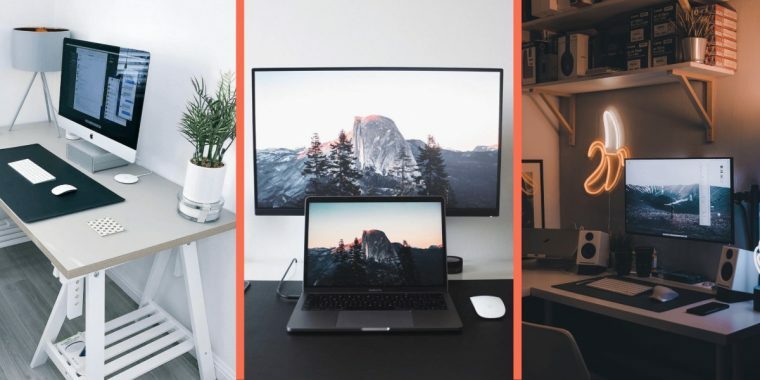 Which one is your favorite minimalist desk setup? Let me know down in the comments below. Also if you have any minimalist desk photos, feel free to submit them by emailing nick@griditi.com.